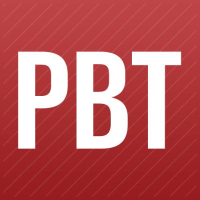 If you’re in the Pittsburgh area, you might be aware that it’s time for the Pittsburgh Business Times to announce their Manufacturer of Year awards. This year, Compunetix has been named one of the five finalists in the “Large Company” category. The finalists and winners of all categories will be announced and feted at an event at the Omni William Penn hotel on December 2, which will feature a reception, dinner and the awards program. You can gather additional details for making reservations by clicking here.